I am a cell biologist who trained in cancer biology laboratories. I enjoy studying the cellular and molecular mechanisms of diseases. I’ve conducted research into schizophrenia and a type of brain cancer called glioblastoma. In schizophrenia the goal is to identify which neurons and genes in the brain are not functioning correctly that cause the disorder. By studying schizophrenia for 20 years I’ve learnt a great deal about the brain. So in 2017 I decided to combine my training in cancer biology with my neuroscience and neuroanatomy knowledge to study glioblastoma, the most devastating adult brain cancer. I’m interested in understanding how we can overcome resistance to treatment in patients whose glioblastoma tumour has regrown. In school I really enjoyed biology, particularly learning about cells and the body. I love looking down microscopes at cells and tissues and seeing how they are different. When I was studying at university, I was working in a cancer research laboratory and realised I might be able to make a difference to people’s lives through research. I left the cancer field and for 20 years I focused on schizophrenia since mental health is such a big problem that doesn’t get the attention or funding that it deserves. But, during that time several family members and friends have suffered or died from cancer. My wife is one of the lucky ones who is an ovarian cancer survivor. So, in 2017 I decided it was time I went back to my cancer biology roots and use my neuroscience knowledge to start collaborating on a research program investigating brain cancers. I am a cell biologist and I will investigate what causes schizophrenia and how to stop glioblastomas. In my view understanding the brain, how it works and what can go wrong is the final frontier for medicine. For schizophrenia, the ultimate goal is to understand exactly how it occurs so we can develop better treatment options or even prevent the disorder. For brain cancers, the ultimate goal would be to develop treatments that kill off the brain tumour without the need for invasive surgery and then prevent the tumour from re-growing. Paul is a cell biologist with a keen interest in understanding the cellular and molecular mechanisms of diseases, so that better diagnoses and treatment strategies can be developed. He has a BSc (Hon) (1985-1989) and a PhD (1995) from the University of Newcastle, Australia. He completed post-doctoral research at the University of Wisconsin, USA (1995-1998). His research training during his PhD and postdoctoral work was in cancer biology where he gained experience in cellular and molecular biology techniques. In March 1998, Paul returned to Australia and took an opportunity to focus on the neurobiology of schizophrenia by joining the Schizophrenia Research Institute as a Research Officer/Senior Research Officer (1998-2004). 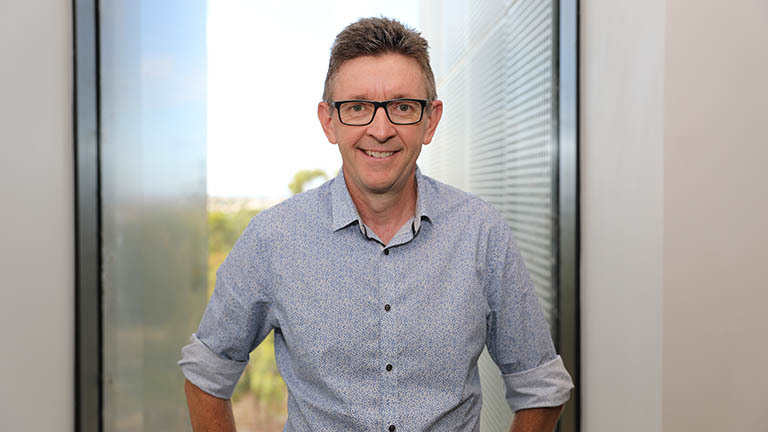 Since 2004, Paul has been an academic in the School of Biomedical Sciences and Pharmacy, University of Newcastle where he is now an Associate Professor. Paul’s research from 1998 to 2017 focused on the neurobiology and genetics underpinning schizophrenia. To study schizophrenia was a big learning curve. Paul spent time attending grand rounds and research seminars at the local psychiatric hospital to make connections with clinicians. Since then, he has conducted and collaborated on world-class studies detailing the changes to gene expression in the brain and blood of patients with schizophrenia. Paul played a major role in the establishment of the Australian Schizophrenia Research Bank (ASRB), which collected clinical and cognitive data as well as blood samples for genetic analysis and structural brain scans from participants with schizophrenia and controls from all over Australia. The ASRB has contributed to over 100 research projects and well over 100 research papers. Our genetic data has been used by the Schizophrenia Working Group of the Psychiatric Genetics Consortium, a Consortium of world leaders that conducted the largest ever study of the genetics of schizophrenia. We identified new genes linked to the disorder and published many papers including several in the high ranking Nature series of journals. In 2017, I established a new research direction to study the most devastating of adult brain cancers, glioblastoma. With many years of experience collaborating with scientists and clinicians to study schizophrenia, I understood the value of developing a diverse team to tackle brain cancers. I have teamed up with Dr Mike Fay (medical oncologist), Associate Professor Nikola Bowden (Head of the DNA Repair group), Dr Moira Graves (immunologist), Dr Jennette Sakoff (cancer biologist) and Professor Jenny Martin (medical physician/clinical pharmacologist). We are interested to know why glioblastoma tumours that regrow after initial surgery and treatment, don’t respond to current treatments and how we can overcome this. can we repurpose existing drugs to treat glioblastomas resistant to current therapies.